Superstar Ajay Devgn has an exciting lineup of films which will be entering theatres from 2018 to 2019. But if latest reports are to be believed, another interesting project might get added to the list of his forthcoming movies. According to reports, Devgn is in talks with filmmaker Boney Kapoor for a biopic. If the project materializes, it will mark the reunion of the duo after a long gap of 16 years. They last worked on Ram Gopal Varma’s crime-thriller Company which was one of the most successful films of 2002. If all goes well, the untitled film will go to the sets next year. Meanwhile, Ajay Devgn is busy with the shooting of Total Dhamaal. 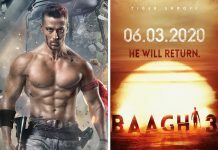 The actor is planning to start his ambitious project, Taanaji: The Unsung Hero by the year-end. He has also signed a film with Luv Ranjan alongside Ranbir Kapoor. There is one more film which he is doing with Luv Ranjan. It stars Tabu and Rakul Preet Singh. Katrina Kaif in talks to headline PT Usha biopic?